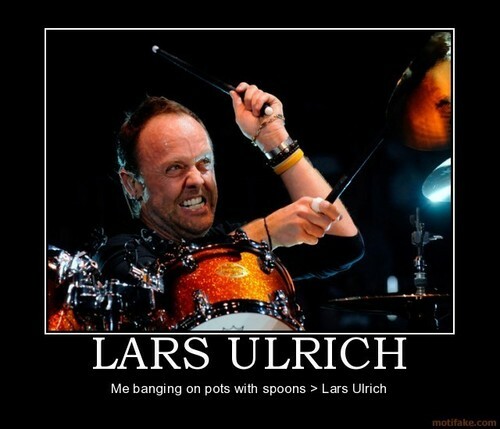 Rude but funny. . Wallpaper and background images in the metallica club tagged: metallica lars. This metallica photo contains drummer and konser. There might also be snare drum, snare drum sisi, tympanist, pemain drum, timpanist, drum tenor, tom tom, and tenor drum.